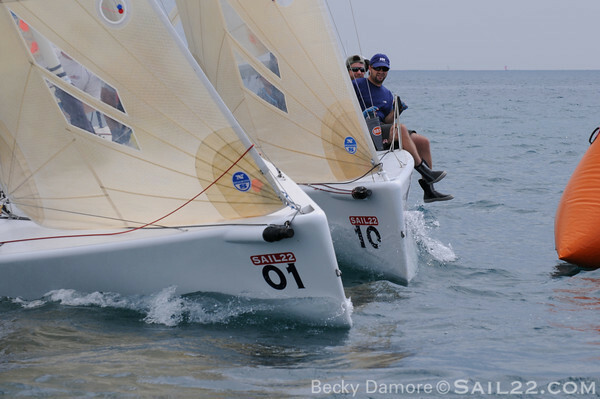 Sail22 will be hosting our first tuning event of 2011 in Coconut Grove, FL in conjunction with Shake-A-Leg Miami February 10-11th. This event will give the Melges 24's doing the Miami Winter Regatta LOTS of practice prior to the start of it! This will also be a great session for teams training for the Worlds in Corpus Christi who may not be able to make the entire winter series, but want to have additional training time. The format will be a half-day on February 10th with lots and lots of starts and short course racing. Day 2 will be a two start format with longer courses. The Notice of Race is here and registration is here.